As one of the most advanced play forms in childhood, pretend play often demonstrates positive associations with children’s development. However, results from research that examines the association between social skills and pretend play are mixed, especially when the complexity of pretend play is taken into account. Moreover, few studies on pretend play are conducted in outdoor environments; a setting which affords many opportunities for engagement in pretend play and unstructured social interactions. By observing children’s outdoor pretend play, the primary purpose of this study was to investigate the relationships between different types of pretend play and children’s social skills. Twenty-eight children from high quality childcare centers in a southeast suburban area were observed during outdoor free play time. Using a reliable time sampling protocol, each child’s play was observed and recorded for a total of 45 min to an hour over a 2-week time period. Lead teachers rated children’s social skills in the areas of cooperation, self-control, and assertiveness. 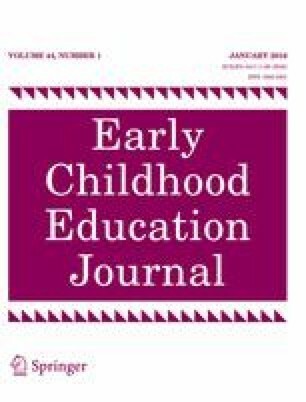 Results showed high amounts of pretend play behavior overall, and differential relationships between the type of pretend play children engaged in and children’s social skills. Surprisingly, these relationships were not associated with gender. Findings are discussed in light of the value of pretend play to promote social skill development and the potential for outdoor contexts specifically to encourage these play behaviors. Kyttä, M. (2004). Children in outdoor contexts: Affordances and independent mobility in the assessment of environmental child friendliness. Helsinki University of Technology. Retrieved from http://lib.tkk.fi/Diss/2003/isbn9512268736/.